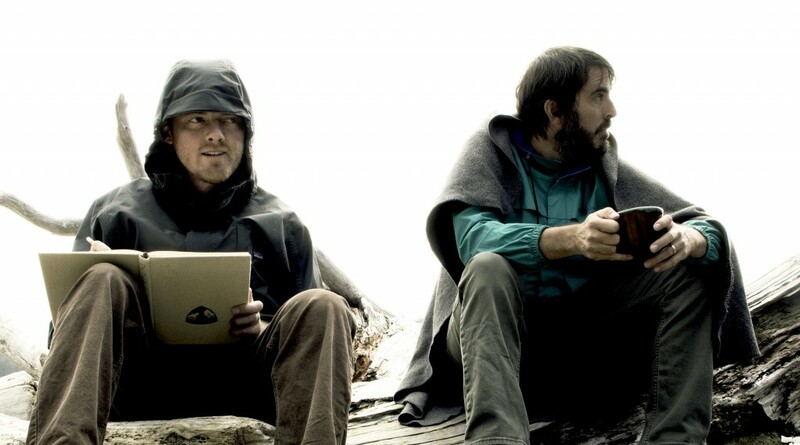 INVENTIONS are the collaborative sum of longtime friends Matthew Cooper of Eluvium, and Mark T. Smith of Explosions In The Sky. Their 2013 eponymous debut album introduced an ambition to create music that was both challenging and comforting. Their new album, Maze of Woods, opens with a vocal sample declaring, “I wanted to do something that I don’t know how to do.” Using this as a mission statement, Inventions have crafted a complex and exuberant album from an array of instruments, samples, found sounds, beats, chants, and raw bursts of noise, with a much greater emphasis on strong vocal accompaniment in every song. Two albums released in the span of 10 months speaks to the drive that these two have felt since they started playing together. Much like on the first record, they again mixed the album in a house on the Oregon coastline, with final mixing and production all done by Smith and Cooper. Inventions have stated that much of the inspiration for Maze of Woods comes from the closing paragraph of Denis Johnson’s novella Train Dreams. In that paragraph, Johnson describes the non-verbal howl of a feral wolf boy, a pre-language that is yearning and instinctual; a statement of wordless distress and love. Maze of Woods is the product of two masters of their craft getting lost in the wilderness, “doing something that they don’t know how to do,” and emerging with something wholly unexpected and beguilingly beautiful. Maze of Woods will be released 16th March on Bella Union.